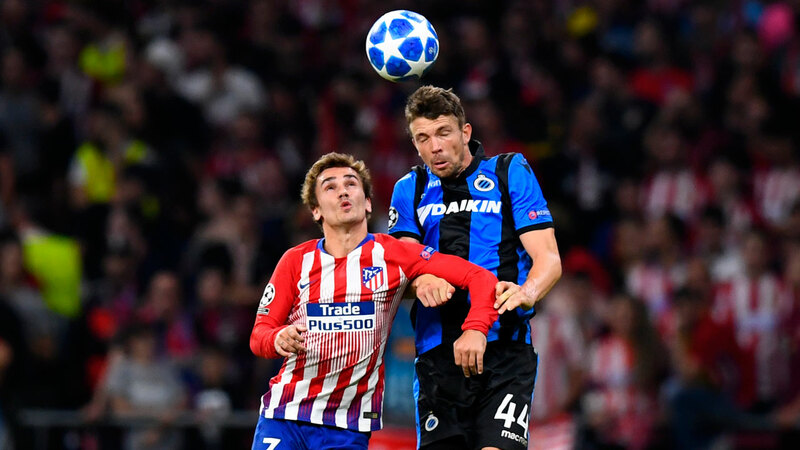 Antoine Griezmann scored twice against Club Brugge on Wednesday as Atletico Madrid made a winning start at the stadium they hope to return to for the Champions League final next year. Arnaut Groeneveld’s stunning long-range effort pulled Brugge level shortly before half-time but Griezmann added a second, before his driving run allowed Koke to wrap up a 3-1 victory late on. The result maintains a perfect start for Diego Simeone’s side in Group A. 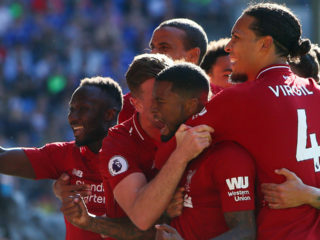 They sit level on six points with Borussia Dortmund, whom they now play twice in succession, starting with a trip to Germany later this month. This was Atletico’s first home game at the Wanda Metropolitano in this season’s tournament, 241 days before they hope to walk out here again for the final on June 1. Simeone admitted the prospect of winning the cup on their own patch is a source of inspiration for his side and to do it, Griezmann will surely be key. The Frenchamn has now been involved in 17 of Atletico’s last 19 Champions League goals scored at home, chipping in with 12 goals and five assists. A successful night was blighted only by injury, with both Diego Costa and Jose Gimenez forced off. Costa sat out the last international round with Spain for personal reasons and he may now be likely to miss another. Atletico are now unbeaten in six games and they started like a team with their tails up as Costa and Koke almost pulled off a neat one-two in the box while Griezmann strayed just offside before a superb lifted finish. Thomas Lemar might have scored had Stefano Denswil not come sliding across to make a last-ditch tackle but it was the winger’s cross that found Griezmann at the back post soon after. Griezmann chested, controlled and steered the ball inside the far post. Atleti looked almost too comfortable and Brugge seemed as surprised as anyone to equalise shortly before half-time. Groeneveld rolled his studs over the ball 30 yards out and with no obvious option, whipped it, bending and dipping into the corner. Filipe Luis came on for Gimenez at half-time and Atletico gradually turned the screw, Griezmann, Costa and Lemar all causing problems for the weary Brugge defence. 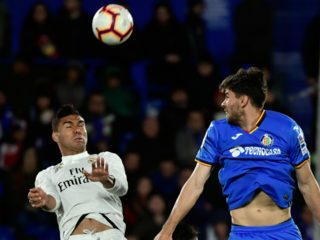 Another smooth combination created the goal as Griezmann played in Costa, who could have shot but instead turned back and returned to Griezmann. He made no mistake. It was Costa’s last contribution. Denswil could have snatched Brugge a point but headed over from six yards. Instead, Atleti confirmed their victory as Griezmann stormed down the left and teed up Koke to slot home from close range.